• PLOT SUMMARY: As the battle for control over Gotham City escalates, a new protector rises. 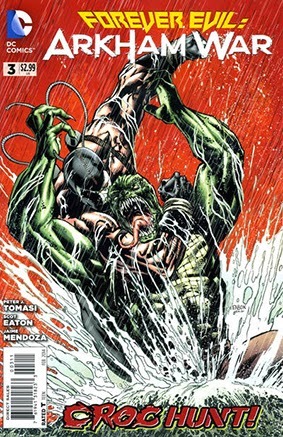 But first, it's the face-off you won't want to miss: Killer Croc vs. Bane! (CA) Jason Fabok. (W) Peter J. Tomasi. (Art) Scot Eaton, Jaime Mendoza.